Since the distance between exporter and importer is very far, the cargo is moved thousands of miles away from its origin. If the cargo is less container load, (Lesser than a container), chances are there to transship your cargo from different locations. Many times goods are moved. For example, you need to move a cargo from New York to China. The cargo will be sent by truck to nearest CFS of your factory - unloading to warehouse - stuffing in to container - moving to New York - again unload at port - loading to container - moving to on board in to ship - unloading to transshipment point if any - again sorting - loading to container - unloading in CFS after arrival in Singapore - moving for inspection procedures - loading to truck after customs clearance. Apart from the above mentioned movements, in each warehousing point, there are chances of further movement of your goods due to re-arranging the slots, movements for survey, inspection etc. Marking and labeling is the only and best method of identifying your cargo during all the operations above till reaching your cargo to buyer’s door step. All documentation is made in such a way to incorporate marks and numbers of each parcel, so as to enable all officials to identify and move accordingly. So before generating commercial invoice and packing list, the packing department in factory has to properly mark and label the cargo. Once packing completed, the marks and numbers must be clearly mentioned in packing list and commercial invoice. This information is very crucial in all forthcoming documentation till arriving the cargo at the door step of buyer. Once moved cargo to nearest Container Freight Station (CFS) for customs clearance, the cargo will be unloaded in ware house. The survey will be conducted by the CFS authorities on the basis of packing list issued by you (exporter). Survey report is prepared on the basis of reconciliation of marks and numbers mentioned in packing list with the marks and numbers labeled on the parcel to be exported. This process matching will continue at many locations during transit of your goods till arriving destination. Marking and numbers are also reflected on Carrier’s document (Bill of lading or airway bill) in order to verify and match during transit where ever applicable. Jignesh Bela : On 13 February 2015 I'm planning to start import export business and initially my major focus will be export of "Indian Spices, Pickle, Mango pulp, Cashew (or dry fruits) and Papadum" and later on I will expand my product portfolio. My uncle having production facility in Gujarat and we have mutual understanding for business. My uncle only sell high quality spices and we always get good laboratory report. I'm planning to register small firm on my name and also doing procedure for Import Export Code. I'm based in India nowadays but I lived in England in for few years. Now I have good contacts over there and relatives. I'm planning to target customer all over the globe. Sudhir Shinde: On 14 February 2015 I am starting an export company, I have already registered my proprietorship firm and applied for IEC which I should get within a week or so. Couple of my friends want me to send them things from India e.g. cotton bags, virgin coconut oil etc. I want to know where can I get the complete flow of the export procedure including all the formalaties, documentations, licenses for various things etc. 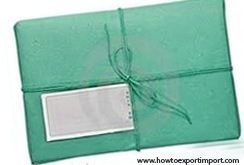 Can you tell me how can I find about the complete export procedure.I feel that I have couple or orders in hand and I do not want to lose the opportunity and get things started earliest. 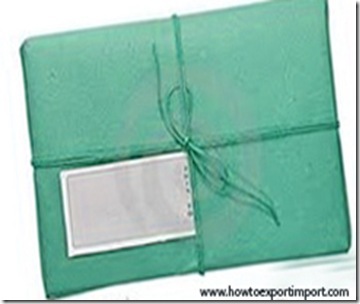 Is there any company that provides hands on training for export procedure? I had a quick question, if I want to send a cotton bag sample to a customer can I just send it by courier saying "Sample- not for sale" label and a similar declaration letter. vishalj : On 18 February 2015 I am Vishal Jawanjal, I am a merchant exporter from Maharashtra and want to export computer peripherals abroad. But I didn’t find any source to find buyers to whom I wish to export. I had contact to Indian chamber of commerce, also to the electronics promotional council but didn’t get any help. Sir if you have any suggestion and advice then please guide us. Bhavesh Dhoka: On 08 April 2017 I have one question - What all certificates are required for MRP labelling for the imported goods. If MRP labelling needs to be done at outsourced warehouse(or any other secondary warehouse) what is the procedure to conduct the same. Waiting for your reply.